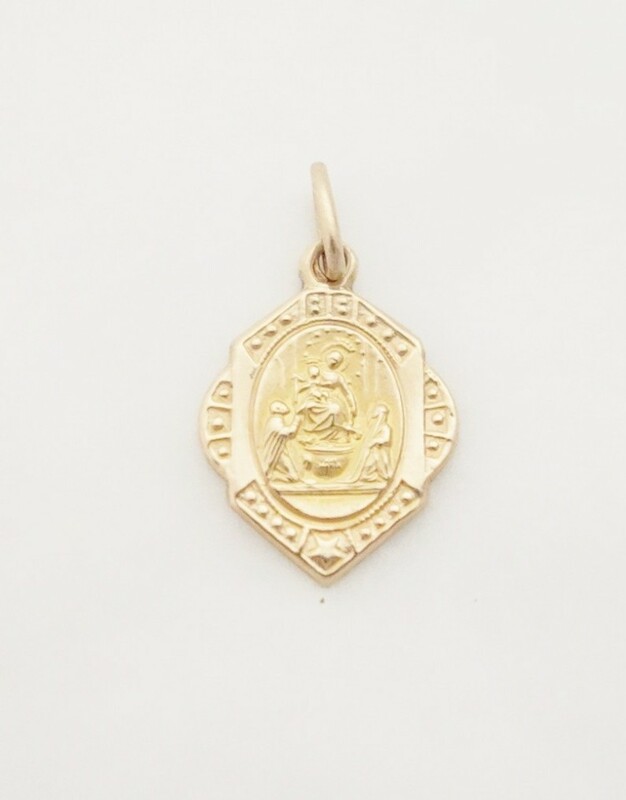 A 14k Madonna Of The Rosary of Pompei medal would be a great gift for anyone devoted to the Madonna. 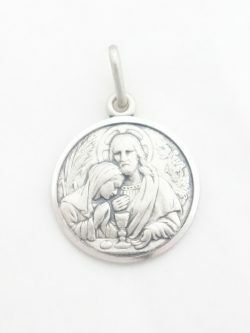 The medal shows the Virgin Mary and Jesus handing out rosaries to Saint Domenic and Saint Catherine of Siena. Chain NOT included. All prices are in Canadian dollars. 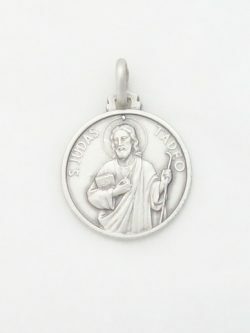 A solid sterling silver St. Jude medal would be a great gift for anyone who is devoted to the Saint. It was made in Italy. Chain NOT included. Diameter of Medal: 18mm* Total Length of Medal: 36mm* *all measurements are approximations. All prices are in Canadian dollars. 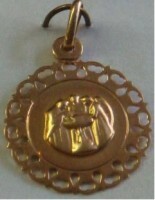 10k baptism medal from Italy. Great to add to a chain or hang from a bracelet. Chain is not included. Length: 14mm* Width: 6mm* *all measurements are approximations.